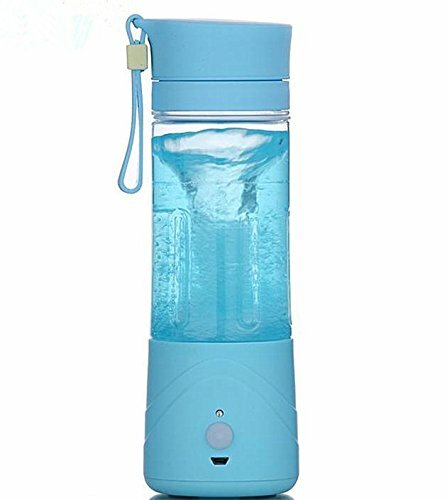 Home › Electronics › Smileto Portable And Rechargeable Battery 380Ml Juicer Cup With 2000Mah Power..
Smileto Portable And Rechargeable Battery 380Ml Juicer Cup With 2000Mah Power..
Small size, portable, multi-use and used as both juice blender and water cup Can mix all fruits and vegetables together. Healthy and environmental-friendly, which uses food grade non-toxic material that can be used safely. A very nice design for those who loves juice and also healthy lifestyle! Freely mix various kinds of fruit & vegetables based on your own taste. Fast stiring speed that can make a cup of juice within one minute. It can be charged by power bank, laptop, computer,mobile phones or other USB devices.